First of all - how awesome is it that Shu Uemura finally has a Canadian e-commerce site?? 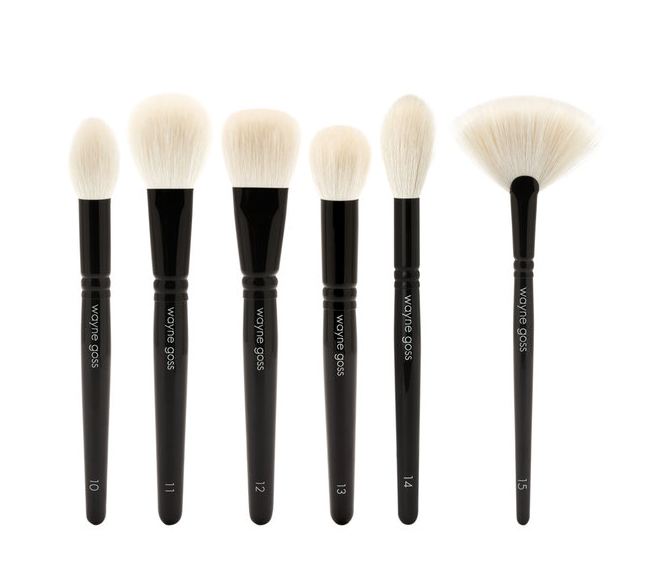 They do carry Shu at some Holt Renfrew locations and at the Sephora in the Toronto Eaton Centre, but it's so nice to have an easy ordering option for those that are Shu-obsessed and not geographically-blessed. My own experience with the brand was sadly limited, with only a palette, some eyeshadows and an eyelash curler under my belt. All things I love, by the by, so when I was sent a few things to try out from the new limited edition collection, I about fell over from excitement. "On a constant quest for innovation and beauty, shu uemura invites you to a magical world for spring 2013. Inspired by Japanese artist ob and the young creators of her generation comes a limited-edition collection that celebrates the rise of a new era in art. in-between reality and a dream beckons you into ob’s creative universe, a world that appears normal at first sight but is filled with fantasy and delight; a world that showcases the emerging vision of a generation of creators who came of age in a radical new digital world." I love the idea of makeup (itself a form of art and expression) and art being interlinked, and I almost always enjoy artist-themed collections. This one is no exception, a dreamy wonderland of pastel shades and whimsical design. The packaging (especially for the Cleansing Oils, review coming soon!) and colour scheme is so perfectly suited to spring. Princess Coral is, true to the name, a light coral pink, with milky undertone taking the brightness of the coral down a notch. This is beautiful on fair skin, and would look fantastic on tanned skin - a modern take on the 60s California Beach Girl lip. 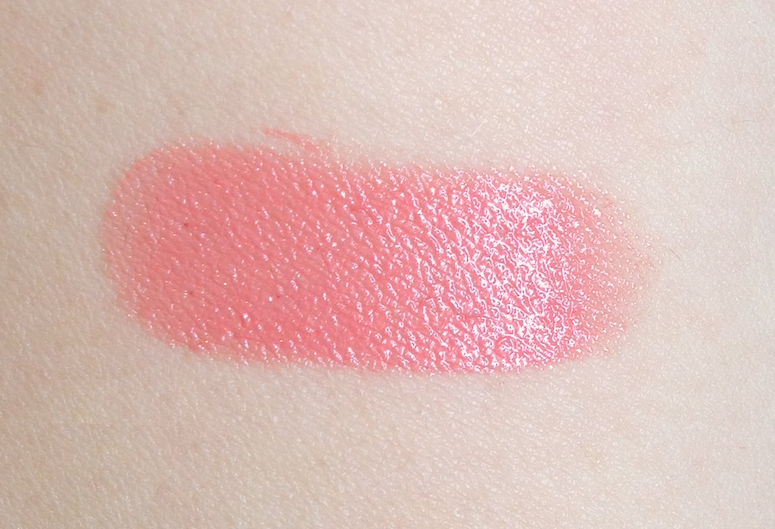 This is a very creamy, slick-feeling lipstick with a hydrating effect. 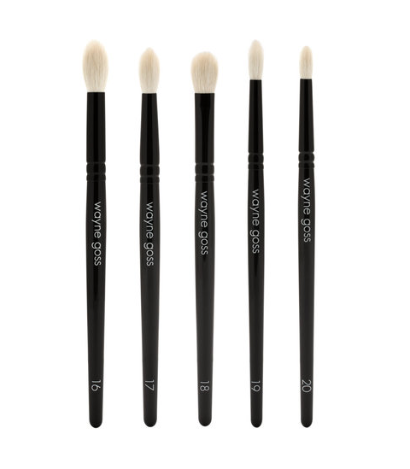 It feels incredibly smooth upon application, gliding so easily that my tendency was to over-apply and get smeared out borders. The best application method is to dab it on the centre of my lips, and then finish off the edges with a lip brush. The look then is soft, shiny and precise. 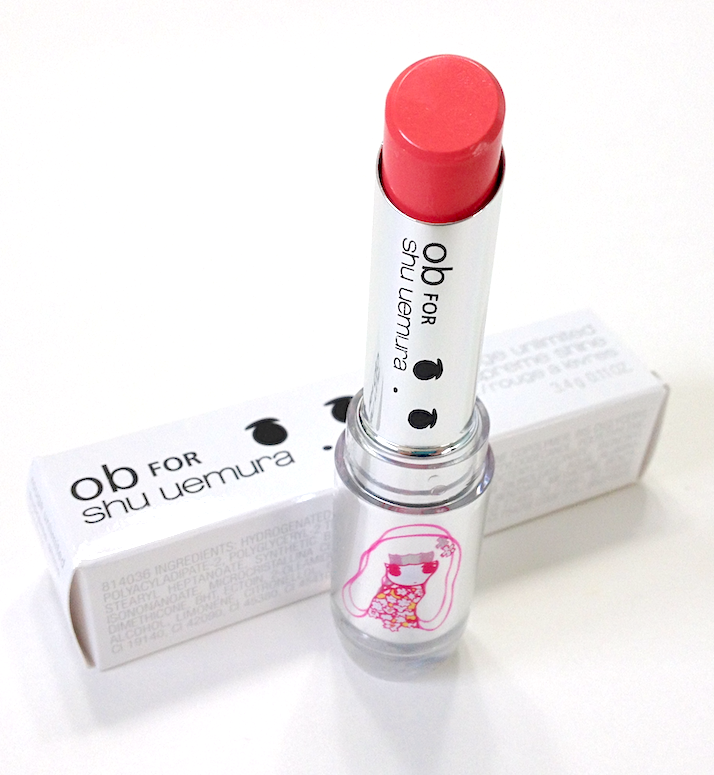 The lasting power is shorter than average for a lipstick due to the ultra-creamy, glossy finish. 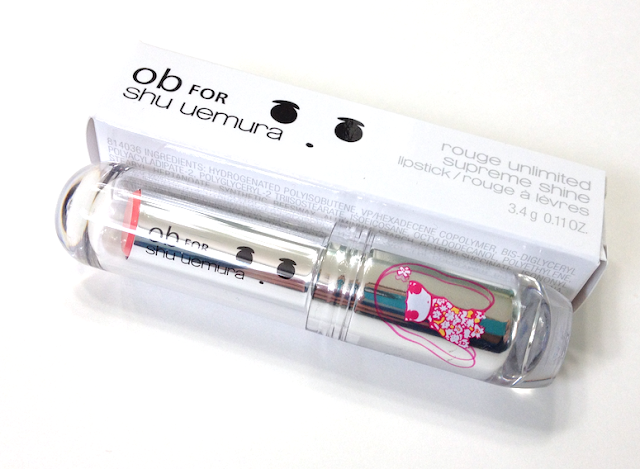 Availability: At the Shu Uemura website. Price is 36$ CAD and 30$ USD. Pros: Adorable packaging, beautiful springtime shade. Cream/gloss finish that is easy to wear and flattering across the board. Comfortable, hydrating formula. Cons: High slip factor may require some initial care in application, with longevity being less than average. I seriously need to go an swoon over this collection - it looks so fresh & fun - it's great when makeup doesn't always take itself too seriously, lol! 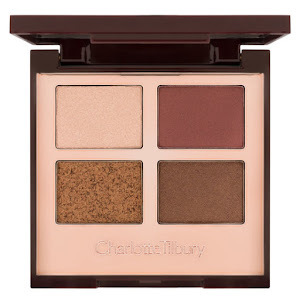 Love this colour on you - so curious to see if it'll suit my skin tone!